Kazakhstan’s total output of uranium or so called 'yellow cake' for the year will amount to 22,000 tons, Energy Minister Kanat Bozumbayev said. Kazakhstan, which is the world's first largest producer of uranium and second in its reserves, will reduce production in 2017 to 22,000 tons, compared with 24,000 tons in 2016. “Production of uranium [forecast for the year] will be 22,150 tons,” Bozumbayev said at a press conference. In early 2017, Kazakhstan’s national company Kazatomprom and its partners in joint ventures decided to reduce uranium production in order to restore world commodity prices, which decreased by almost 47 percent. The output was planned to be reduced due to weak market conditions triggered mostly by a global oversupply. In 2016 Kazakhstan produced 24,000 tons, or 1.7 percent more compared to 2015. Previously, Bozumbayev said that Kazakhstan could increase its uranium production without any problems, since the republic possesses one of the most efficient mining technologies. “We, as responsible big producers, should monitor the situation, because it is easy to drop prices and bring damage to ourselves and our partners. So you have to be careful,” the minister said. Kazakhstan has been a world leader in uranium mining since 2009. Over the past 10 years, the country has increased its volume by almost six times, while its closest competitors, Canada and Australia, have stagnated or slightly declined. 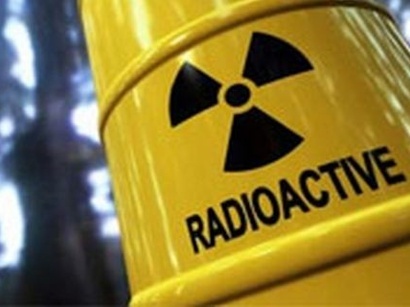 Kazakhstan does not presently possess nuclear power generation capacity and export all the produced uranium, primarily under long-term contracts. Output cut did not impact any contractual commitments. China accounts for 56 percent of Kazakhstan’s total uranium export.